and here is its flight demonstration. – I've previously flown and have been disappointed by many other micro's claiming to be FPV acro trainers. This one actually works well in that purpose. 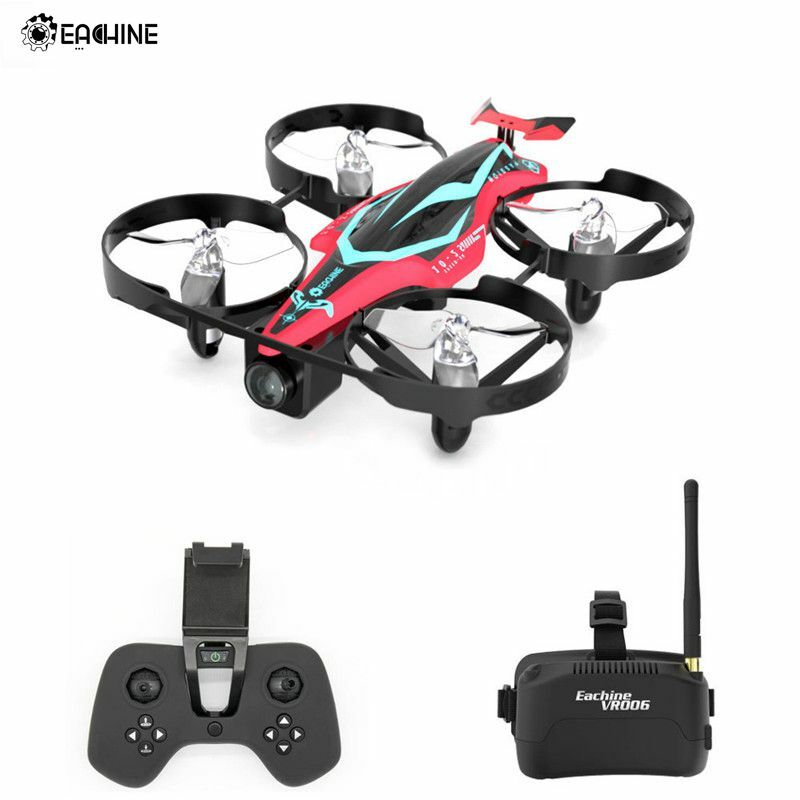 – Good looking micro whoop FPV racer available in red or white colors. – Includes three flight modes. Beginner's angle mode, expert angle mode, and full acro. The acro mode actually works well as compared to other beginner acro trainers that have previously been released. – Very good 1000TVL FPV camera with wide angled lens, yet minimal fisheye effect. – 48 channel 25 mW 5.8Ghz FPV transmitter. Channels and frequencies can be remotely changed via the drones controller. – Powerful 8520 brushed motors. – Turtle mode that allows you to automatically flip and right the drone after an upside down crash. – The propellers on mine were not installed properly/fully from the factory. Seat the propellers fully onto their shafts before your first flight. Push them down all the way. After I did this with mine, they stayed on through pretty aggressive flying. Congratulations. You were the first to say First!. You win a shoutout in a future QC101 video. Again, congratulations! Support micro SD card ? Can this bind to t8sg? Good video. So would you recommend this for a acro training. Do you think there might be a different better one to train acro with? She looks pretty smooth having wind and all. Love all the starter kits coming out ..great for getting new pilots started. I don’t have you on my shoutout list. For which video were you first to say First? Five-minute flight very little time, otherwise it’s very good!